AC-HS5 Yamaha HS5 studio monitor is the ideal monitor for studio reference, mastering or using with electronic musical instrument. HS5 Is compact in size but offers a trul natural sound experience. AC-HS7 Yamaha HS7 studio monitors are designed for natural sound to achieve professional results from mixing and mastering processes. 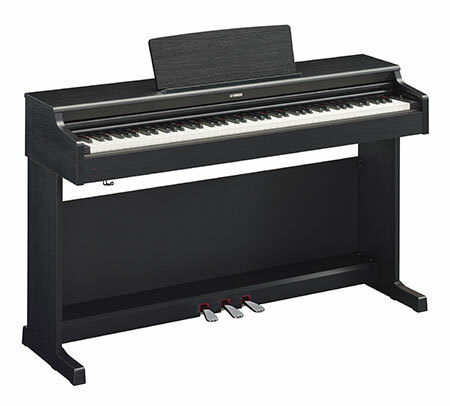 AC-HS8SRF Yamaha HS8S 8 inch active subwofer. This refurbished model is in excellent condition with full 2 year manufacture warranty. AC-HS7WHITE Yamaha HS7W studio monitor finished in a stunning white with white speaker. Get the best mix from your tracks in the studio with the resoundingly flat response of the HS7W. AC-HS7WHITERF Yamaha HS7W studio monitor finished in a stunning white with white speaker. Get the best mix from your tracks in the studio with the resoundingly flat response of the HS7W. 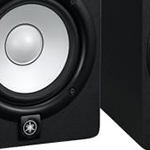 AC-HS7Bundle Yamaha HS7 studio monitor bundle. Get a pair of monitors and cables all ready to fit into your setup. 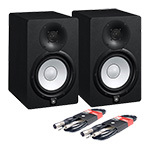 AC-HS5Bundle Yamaha HS5 active studio monitor pair. Fantastic for monitoring and mastering in the studio they are compact in size with a great natural response. 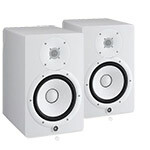 AC-HS8WRFBundle Yamaha HS8 White pair of studio monitors - refurbished. Excellent condition with boxes and full manufacture warranty. 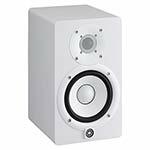 AC-HS5WRF Yamaha HS5W - white active studio monitor refurbished model. Excellent condition with full Yamaha warranty. 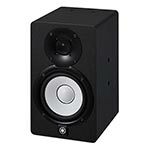 Superb high quality studio monitor ideal for production or use directly with electronic instruments. AC-HS7Bundle2 Complete bundle with Yamaha HS7 studio monitors and a Yamaha HS8S subwoofer with all the cables. 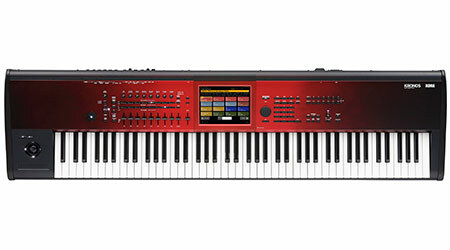 The system is ideal for studio use and offers premium sound quality. AC-HS5RFBundle Yamaha HS5 studio monitor. High quality monitor for studio production. 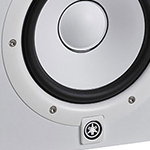 Their distinctive white cone and flat sound makes them the true professional choice of studio monitor. AC-HS5RF Yamaha HS5 studio monitor. High quality monitor for studio production. 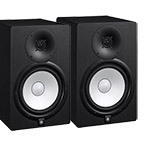 Their distinctive white cone and flat sound makes them the true professional choice of studio monitor. AC-HS8WRF Yamaha HS8 studio monitor refurbished in white. With 2 years warranty this is the ideal monitor for mixing and mastering in the studio. AC-HS8RF Yamaha HS8 monitor has 120 watts of biamplified amplification and an incredible natural sound reproduction. The refurb model comes with full 2 year warranty and is in great condition. AC-HS7RF Yamaha HS7 Studio Monitor Refurbished. 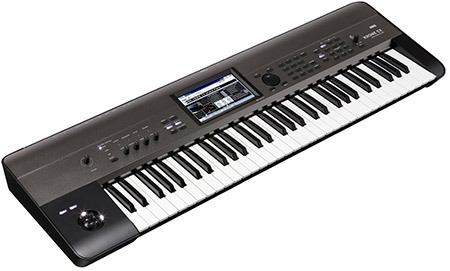 Excellent condition with Yamaha warranty. If you want excellent result in the studio from a neutral sounding monitor then the HS7 is the ideal choice. AC-HS7IWRF Yamaha HS7IW studio monitor finished in a stunning white with white speaker. Get the best mix from your tracks in the studio with the resoundingly flat response of the HS7W. Mounting points on 4 surfaces are available. AC-HS8W Yamaha HS8 White Studio Monitor. Designed for incredible detail and clarity making them ideal for work in the studio. 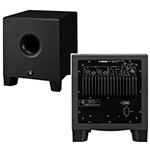 AC-HS8S 150 Watt active subwoofer with variable crossover control. Perfect match for Yamaha HS monitors. AC-HS8 Yamaha HS8 :- large 8 inch woofer and 120 watts of biamplified amplification make them excellent for use in larger studios and rooms. AC-HS8RFBundle The HS8 is the largest fo the Yamaha Hs family. 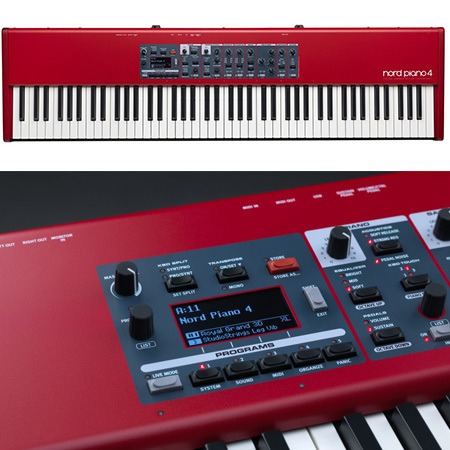 It offers incredibly natural sound reproduction and amazing clarity ideal for mastering work in the studio or with instrumentation. Our refurbished pair is in great condition and with full manufacture warranty.